The rumpus over Boston Globe columnist Kevin Cullen’s Boston Marathon bombings coverage has gone trans-Atlantic, as this Irish Times piece illustrates. 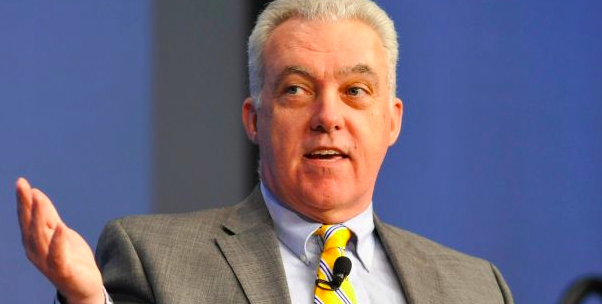 Well-known columnist Kevin Cullen has been put on administrative leave by the Boston Globe, the newspaper has confirmed. Cullen, an occasional contributor to The Irish Times and a regular contributor on Irish radio, has been put on paid leave while an examination of his coverage of the 2013 Boston Marathon bombings is conducted. Right. Except the paper fails to mention that Cullen’s 2013 Irish Times piece about the Marathon bombings directly calls into question his credibility. Compare that to what Cullen told the BBC the day after the bombings, via WEEI’s Kirk Minihane. The “Sean” Cullen is referring to is Sean O’Brien, a veteran Dorchester firefighter who was at the scene and did talk to Cullen the day after the bombing. O’Brien, though, said he never told Cullen he carried Jane Richard anywhere. That was Matt Patterson, a Lynn firefighter who was off duty that day. I spoke to Patterson last Thursday and he wanted no credit or praise for what he did. It was his job. And I could tell he had no desire, really, to go over the events of that day again. He told me he had never heard of Cullen until last week and had never talked to him. What’s also odd is that it became clear, pretty quickly, that Patterson was the man who had carried Jane Richard. NECN had a story. WBZ. NY Daily News. The city of Lynn honored him in May of 2013. How did Cullen not correct this? The next question is, will the Irish Times correct it? Beyond that, there are questions like this one from @DanKelley66 about other Cullen pieces in the Times. 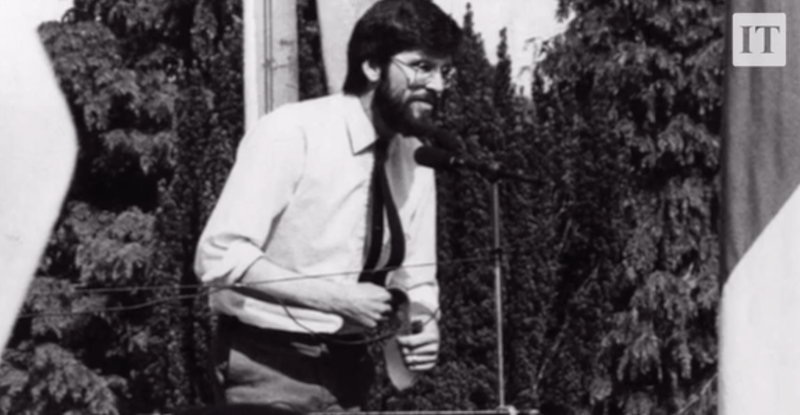 I like to say I knew Gerry Adams before he was infamous. I started reporting from Northern Ireland in the second half of the 1980s, when most American journalists and their editors had grown bored of the killing and the mayhem and the madness. Somehow, at a fairly young age, when I was the main crime reporter for the Boston Globe, I convinced my editors that we were giving short shrift to the conflict in Northern Ireland, a tragic story, a human rights story, an international story that was, in fact, a local story for our readership, more than half of which claimed Irish ancestry. Beyond that, I persuaded them that the fact that my grandparents were from Connemara, that I had spent a fitful year at Trinity College, and that I had managed to get myself lifted by British soldiers when I hitchhiked up to Belfast in 1979 and came across a patrol of nervous squaddies who believed my Boston accent was a put-on, somehow qualified me to report on the murderous, generational problem that the Irish in their quaint propensity for understatement called the Troubles. It’s a major takeout with Cullen himself, as per usual, at the center of it. So the headscratching staff is emailing this question to the Irish Times: Are you now wondering if anyone can verify any of that? We will, as always, keep you splendid readers posted. This entry was posted in Uncategorized and tagged @DanKelley66, BBC, Bill Richard, Boston Globe, Boston Marathon bombings, Gerry Adams, Irish Times, Jane Richard, Kevin Cullen, Kirk Minihane, Martin Richard, Matt Patterson, NECN, Northern Ireland, NY Daily News, Running towards the bombs, Sean O'Brien, The Troubles, WBZ, WEEI. Bookmark the permalink. 2 Responses to Is The Irish Times Reviewing Kevin Cullen’s Reporting For It?